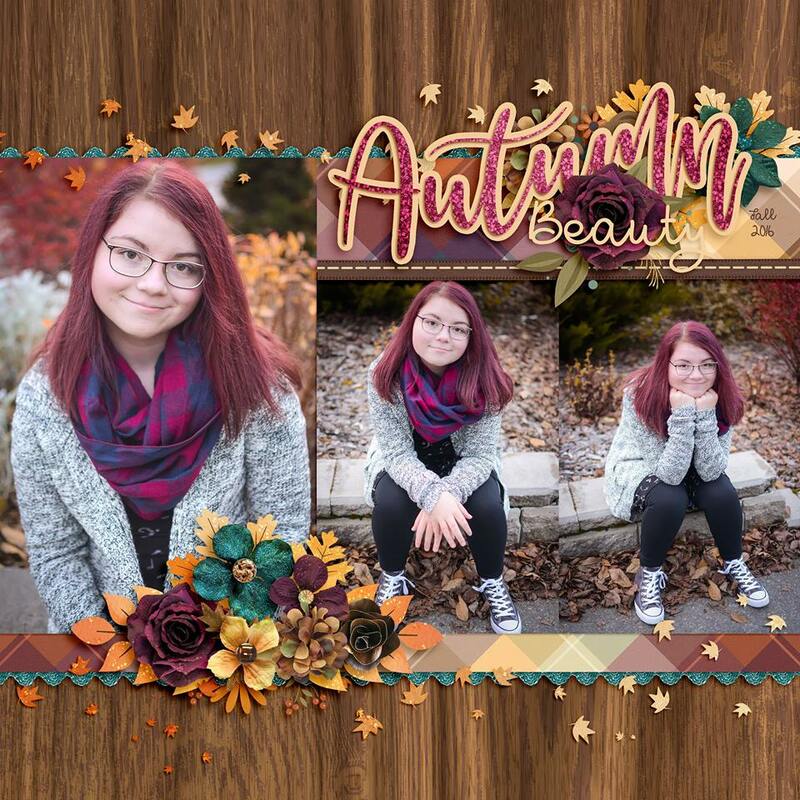 What better time of the year is there than sweater weather time? 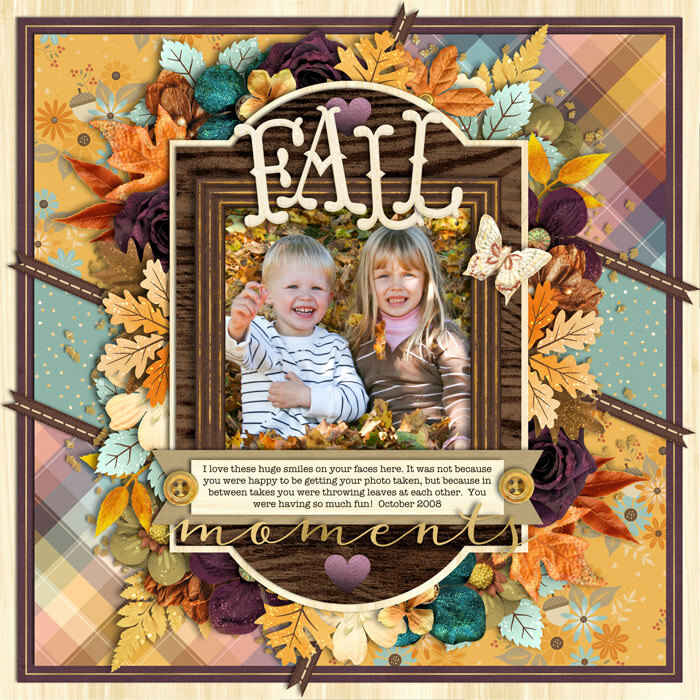 The gorgeous, rich, autumn colors pop with a bit of glitter and gold to give your photos the best treatment possible. 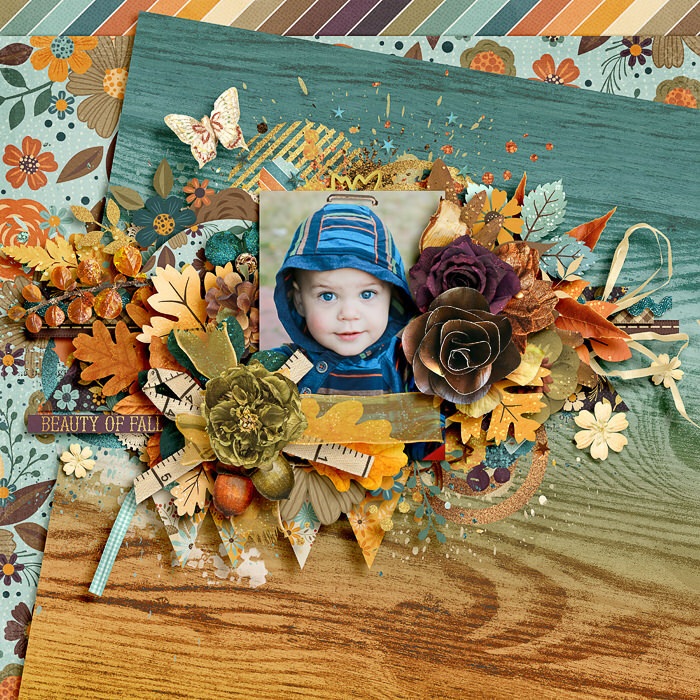 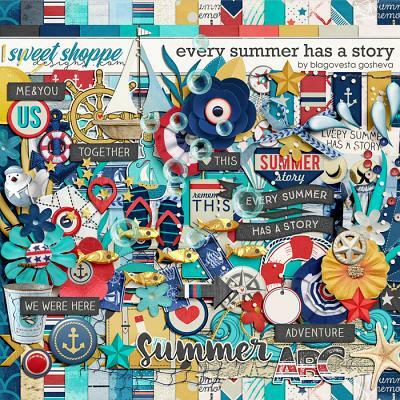 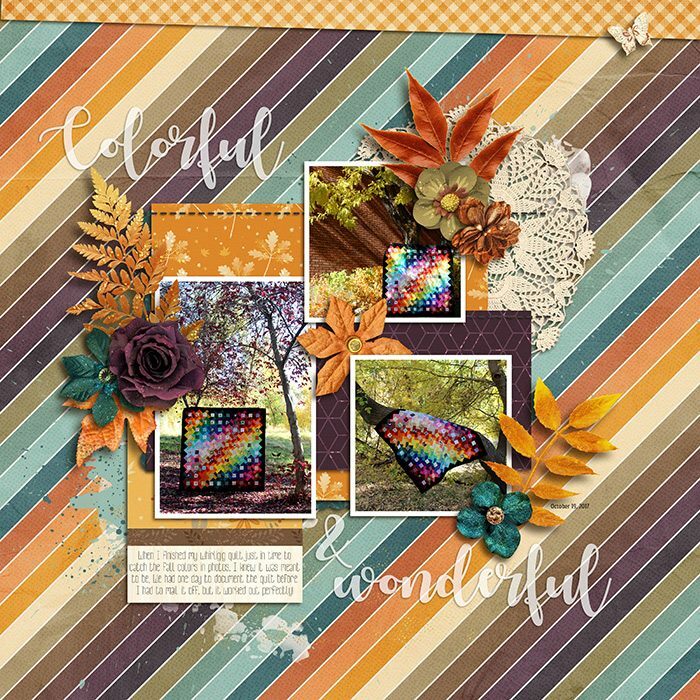 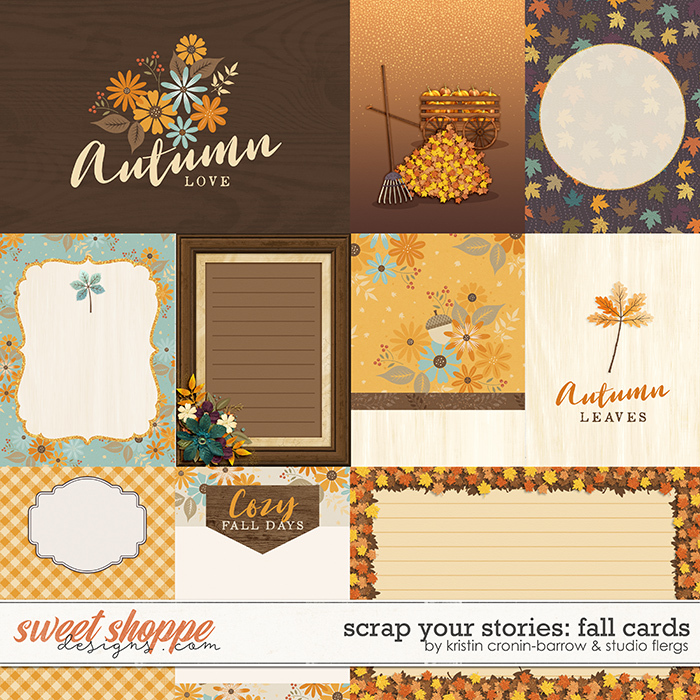 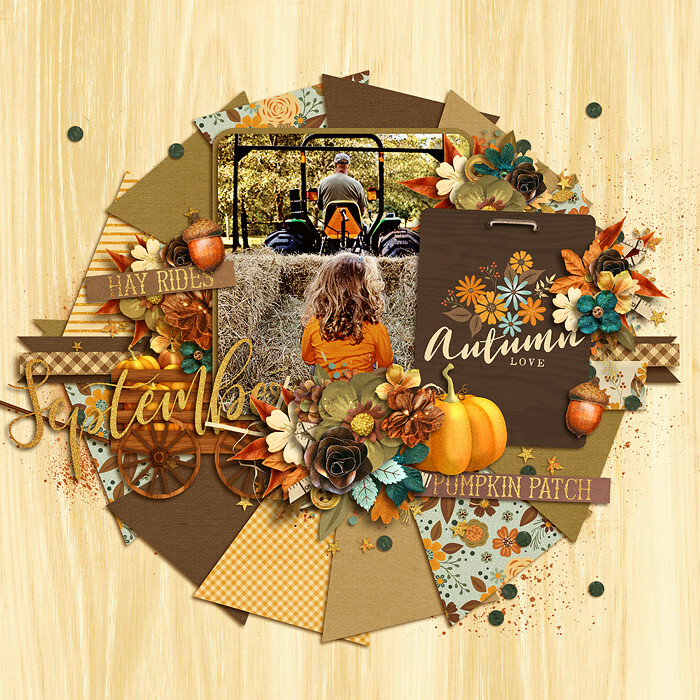 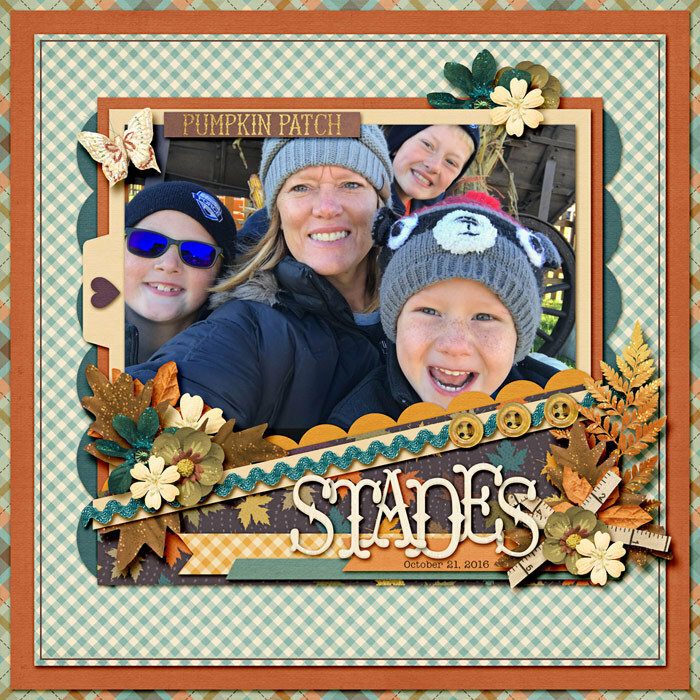 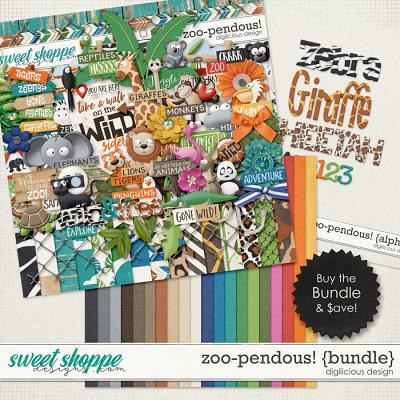 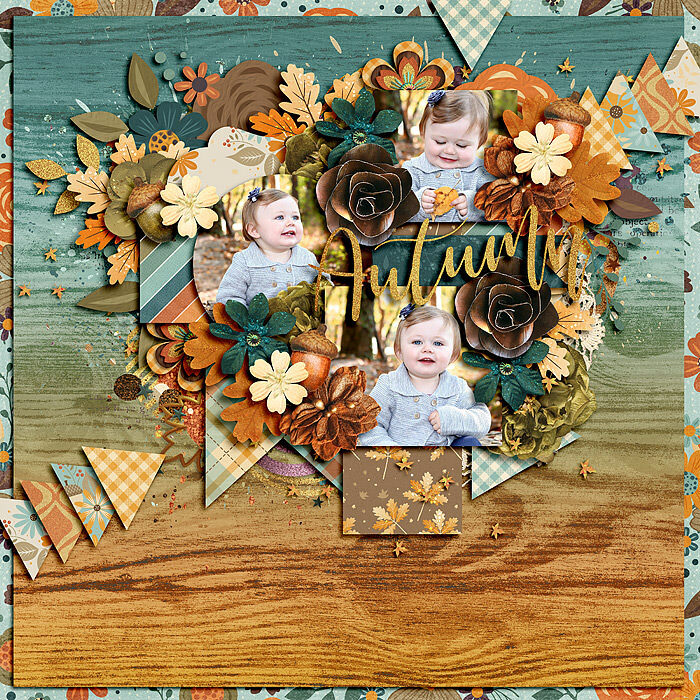 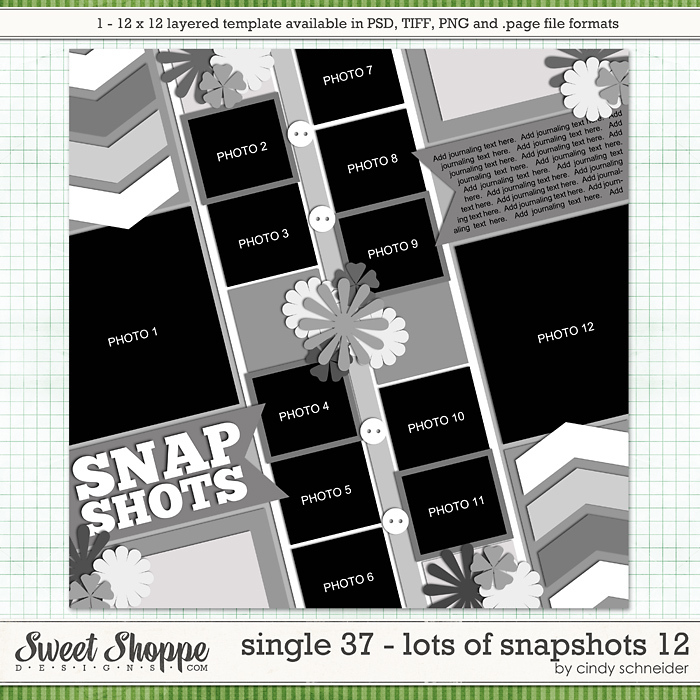 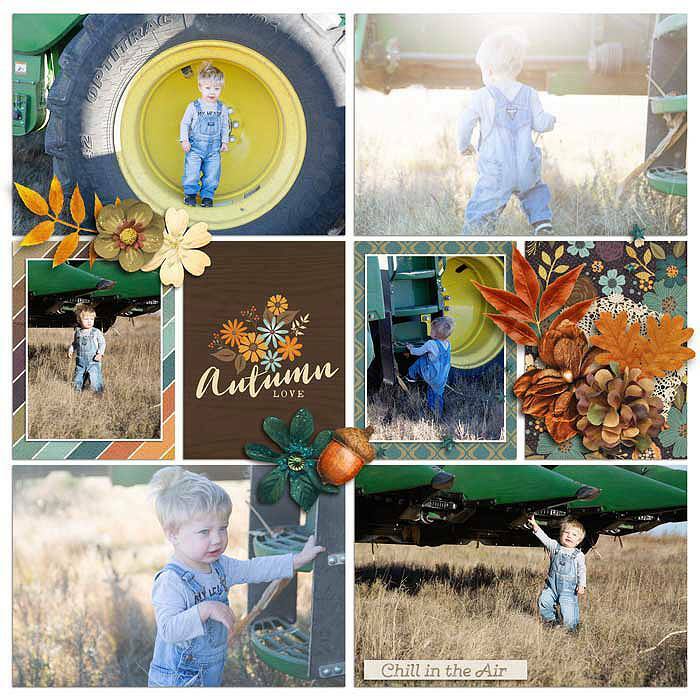 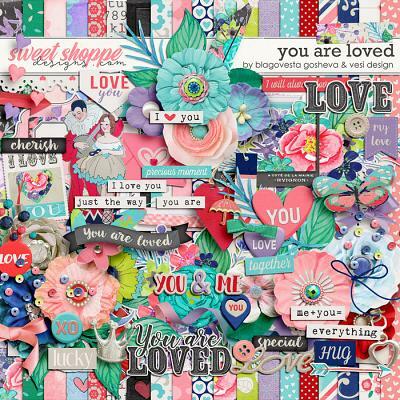 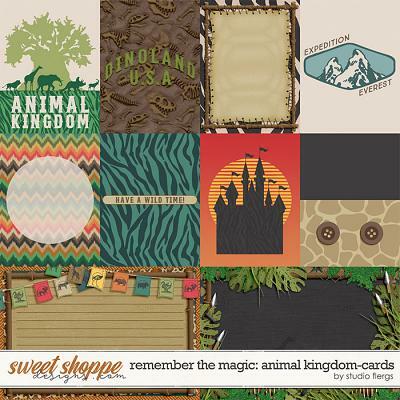 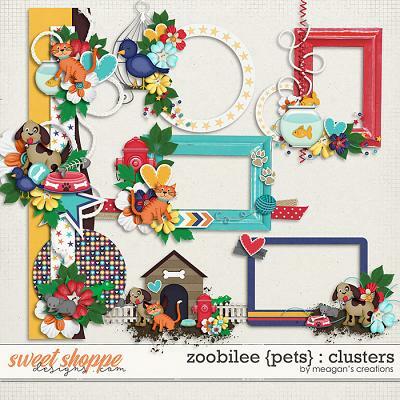 Elements include titles, wagons, gourds, pumpkins, stickers, lattes, candy cord and leaves and will create amazing scrapbook pages of all your favorite fall memories. 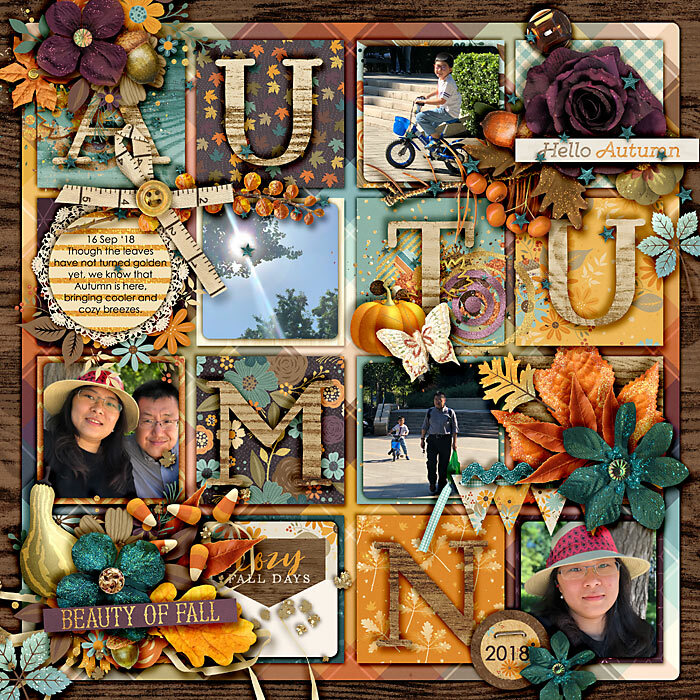 Goodbye, summer...hello, autumn!